Trivik is a affiliate hotel search and booking system where you can earn a decent commission every time the user book hotel from the partner website. The modern and responsive design of trivik makes it unique and trustable for the users. 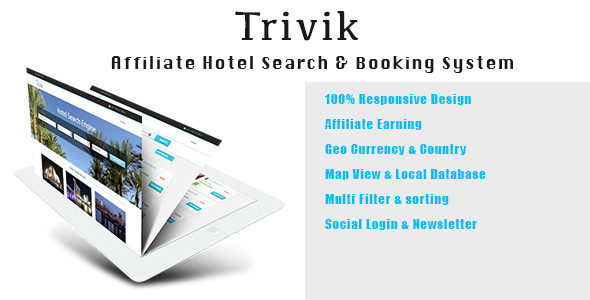 Trivik is loaded with features required to search hotels worldwide through geolocation multi-currency feature. The database is local hotel database provided by the partner website (agoda).